Want it by Wednesday 24th April? Order within 4 days, 11 hours, 7 minutes and choose Royal Mail Tracked 24 Hour at checkout. 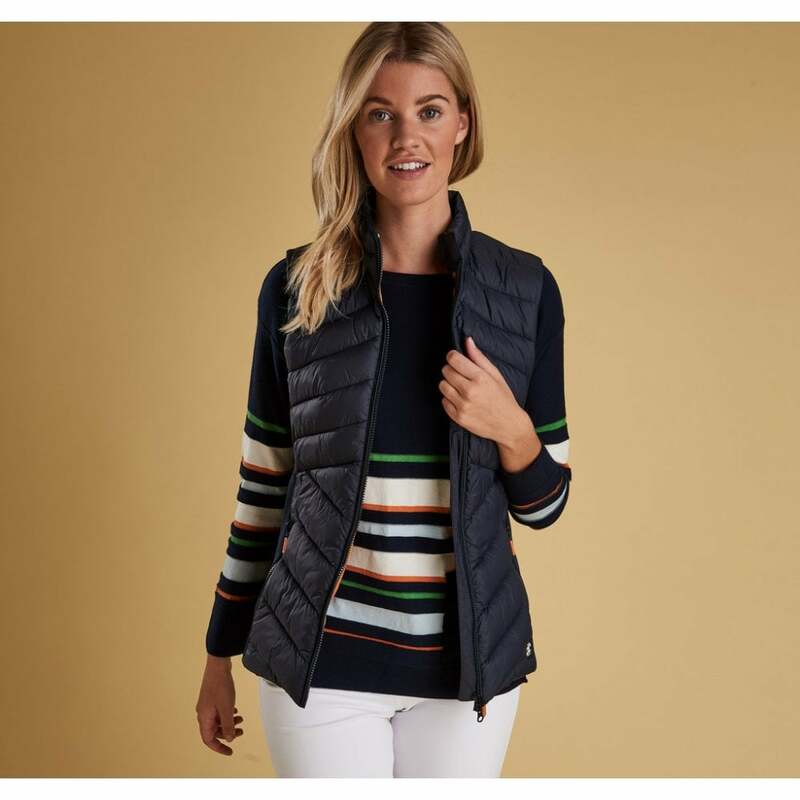 The Barbour Pebble Gilet in will add a splash of colour to your spring/summer outfits and will make sure you layer up in style this season. Designed to be perfect as a stand alone piece on slightly cooler days or to be worn under jackets when there is a definite chill in the air. This chevron quilt gilet features slimming horizontal side quilting, a zip through fastening and has been finished to the highest of quality with Barbour branding.